Cryogenic Deflashing is available for all molded parts, including those made of plastics, polymers, nylons, rubbers, silicone rubber, polyurethane, neoprene, liquid crystal polymer, urethane, viton, polycarbonate, PTFE, PPS, delrin, polypropylene, EPDM, nitrile, butyl, DAP, ABS, PEEK, Acetal and aluminum zinc die cast and precision elastomer parts. The computer-controlled process generates repeatable and reliable results. Many medical devices and other high value precision molded components are included in our vast array of successful deflashing applications. We have processed parts manufactured through injection molding, compression molding and extrusion molding. Our service offers a fast and repeatable process to remove flash from plastic parts. Through freezing, tumbling and blasting polycarbonate media at your injection molded plastic parts, we are able to remove residual mold flash time and time again. The Cryogenic Deflashing process was originally created to remove mold flash from rubber parts. 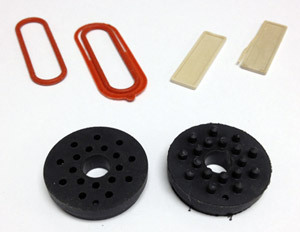 We are able to deflash rubber parts that are injection molded, extrusion molded and compression molded. We have processed parts made of various durometers. We typically deflash rubber parts made of EPDM, neoprene, Viton, Buna-N, nitrile, natural gum, SBR, butyl, and other elastomers. Our Deflashing Service is often used by molders who work with silicone rubber. Silicone rubber, by its nature, is very viscous causing it to flash during the molding process. The Nitrofreeze Deflashing service removes mold flash from silicone rubber parts. We deflash parts made of liquid silicone rubber and even special blends of silicone rubber that include conductive fillers such as silver, graphite, nickel. Rather than invest in an expensive new or repaired mold tool, customers can elect to extend the functional life of their mold tool by adding the additional step of deflashing, to finish the part and remove any residual flash leftover after molding operations. It is economical to pay only a slight premium per part than to invest in a new molding tool that has a limited production life. Cryogenic Deflashing is a fast and efficient process that provides complete removal of mold flash without affecting the surface finish. Therefore, it is a safe, clean and cost-effective alternative to traditional methods. Parts are placed in a chamber, cooled, tumbled and impacted with plastic polycarbonate media. Mold flash is removed quickly and cleanly. No dust or residue remains after deflashing. Cryogenic Deflashing is more cost-effective than labor-intensive hand deflashing by a significant margin. The cost to process parts can range from less than .01 cent to several dollars apiece. General rule of thumb: cost is between 10% and 20% of the value of the part, although each part must be considered on its individual characteristics. The standard turnaround time for delivery of our deflashing service is two days after receipt. We also offer same day and one-day service for a small premium. Nitrofreeze supports prototype molders that produce small quantities as well as high volume molders with large production quantities. We process parts that range in sizes from 0.025” with thin walls to much larger parts that measure across many inches. No job is too large or small for our process to handle. 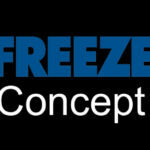 Nitrofreeze is pleased to provide a no-cost or no obligation assessment of your mold flash problem. We can review part drawings, photos and actual samples of molded parts.